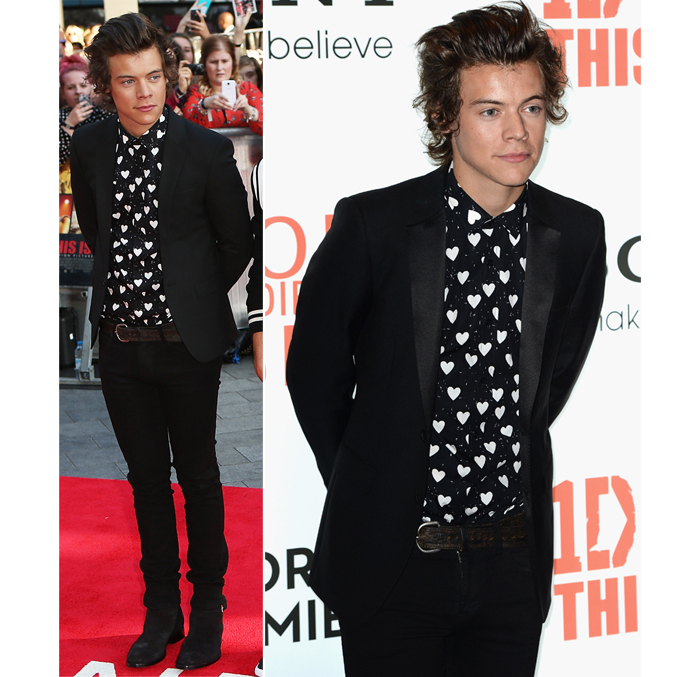 Fashion, Frankly: Harry Styles wears Burberry to the Premiere of "One Direction: This is Us"
Harry Styles wears Burberry to the Premiere of "One Direction: This is Us"
Yesterday evening London saw mobs of hysterical teenage (and slightly older) girls in pilgrimage to Leicester Square, where the premiere of the "One Direction: This is Us" film was going to take place. I must confess even I got a little excited when I heard the boys rehearse at the downstairs studio from my office. It's no secret that I am a big fan of Harry Styles' style – or Harry's Style, it's so confusing. And I knew that for such an occasion the signer would look his best. 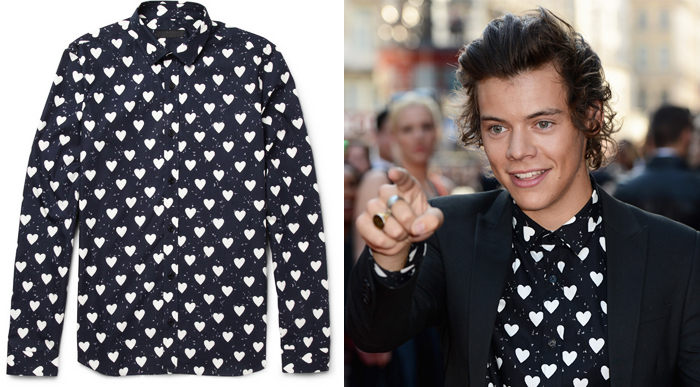 For the premiere Harry donned a Burberry Prorsum heart-print shirt. You might remember we already saw Styles rocking this shirt back in February for his 19th birthday. 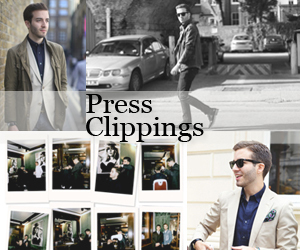 This time he opted for the black version, which he paired with a slim tailored jacket also from Burberry. His signature black skinny jeans, battered leather belt and suede boots completed his look. And it looks like he's finally learnt that moving on from your 16-year-old hair style is the most important step a man takes growing up. Burberry heart-print t-shirt, Woodland cashmere-blend jumper, Heart print linen tie, Slim fit cotton-poplin shirt.